Laughing and frowning are a part of life. Over time, they leave their mark in the lines and wrinkles that appear on your face. Those lines and wrinkles can be hard to take, but you don’t have to live with them. BOTOX® Cosmetic, a nonsurgical injectable procedure, has been called a “facelift in a bottle.” It’s an easy, safe, effective way to soften expression lines. BOTOX® has been used therapeutically for more than two decades and is FDA-approved. Unlike other nonsurgical treatments such as collagen injections or laser peels, BOTOX® erases wrinkles by relaxing the muscles underneath the skin’s surface. It blocks impulses from the nerve to the tiny facial muscles associated with expression lines, keeping the muscles from contracting so the outlying skin stays smooth. Untreated facial muscles contract normally so your facial expressions are unaffected. A BOTOX® injection is an in-office procedure that takes under 30 minutes. One of our experienced plastic surgeons injects a very small amount of BOTOX® precisely where it’s needed using a tiny micro-needle. Because the pain is so minimal, no anesthetic is required, though your doctor may choose to numb the area with a cold pack or anesthetic cream. You should be able to return to work and other activities right after treatment. However, it’s best to avoid exercise, heavy lifting, and irritation of the treated area for the first 24 hours. You can expect to see results in three to five days, although it may take as long as two weeks to achieve the maximum effect. For most people, the benefits last for three to four months, but some see results for up to six months. 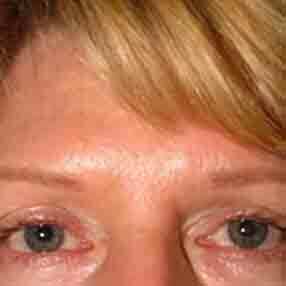 Lines and wrinkles tend to be less obvious over time if treatments are given on a regular basis. Studies show that those who have had at least five BOTOX® treatments had longer-lasting results. The most common side effect is slight bruising at the injection site. Bruises are temporary and can be covered by makeup. 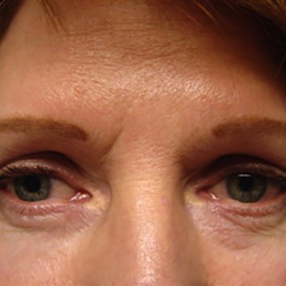 A very small percentage of patients experience droopy eyelids. This temporary condition, known as ptosis, usually appears seven to fourteen days after the injection and can last for four to six weeks. In many cases, iopidine eye drops can resolve the droop in just a few days. After treatment, some patients feel like they have the flu. Headaches, though rare, occasionally occur, lasting 24-48 hours. Who should consider BOTOX® Cosmetic? This treatment is for adult men and women who want a more relaxed, refreshed look without undergoing surgery. The treatment may also appeal to younger individuals who want to preserve their youthful appearance. A consultation at Plastic + Hand will determine if BOTOX® Cosmetic is right for you. Each and every patient is unique. It’s important to us that we listen to our patients from the outset, so a consultation is the first step in determining whether BOTOX® is appropriate for you. Consultation and BOTOX® Cosmetic injections can take place during the same appointment. When your consult and injections take place on the same day, the consult fee of $50 is waived. 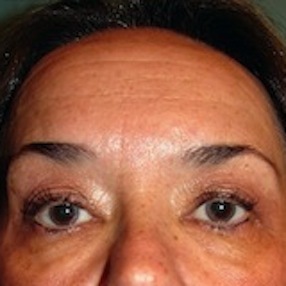 A 55 year old woman desired Botox® Cosmetic to improve frown lines between the brows. 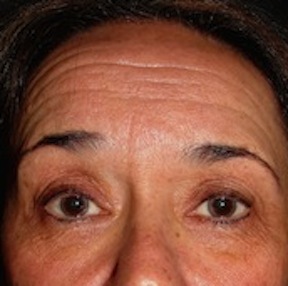 A 59 year old female likes to keep her face looking younger with Botox® Cosmetic.